Please find some links and notes from the 2 Regular Guys Podcast. We are welcoming into the show Jesse Martinez of Matsui International Company, Inc. to share with us about Water Based Color Matching Systems. With more decorators moving toward water-based inks, this will be an informative program. Learning about mixing systems and matching colors. 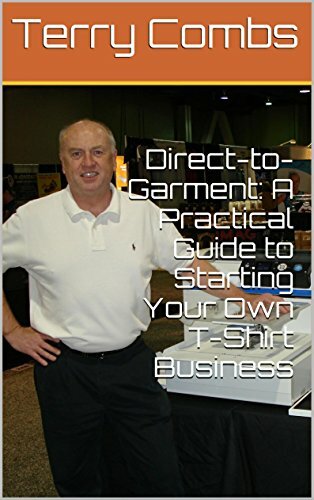 Our regular listeners know this, but 2 Regular Guys are all about garment decorating, a bit of fun, and no rants or lectures or selling. We are not doing this for our employers, but rather for our industry. Since February 2013, The 2 Regular Guys have been the first and the most listened to garment decorating industry podcast on this planet! We are humbled by all of you tuning in each week. We work hard to bring you information that will make your business better, and our industry better. Take a look at our incredible weekly guest list and you’ll understand where this industry goes for news, interviews and the heartbeat of garment decorating. Thanks for listening! CafePress Sells for More Than $25 Million – Personalized photo service Snapfish and gift retailer CafePress announce a merger agreement. CafePress, a Louisville, Kentucky-based company, plans to sell its outstanding shares of common stock to Snapfish for more than $25 million. The acquisition comes seven months after CafePress announced company layoffs, the exit of board members, and a 22 percent gross profit drop for 2017. Although CafePress did see some growth in August, it struggled to stay in Google’s top search results in various product categories. US, Canada and Mexico Reach Tentative New Trade Deal – The US and Canada came to a final resolution late on September 30, an hour before the midnight deadline. The new deal will be called the United States-Mexico-Canada Agreement (USMCA) and the US and Canada have compromised on major elements of the original pact. The revamped treaty now goes into a lengthy approval process. Trump slams China with tariffs on $200 billion worth of goods, taking the trade war to the next level – President Donald Trump hit China with tariffs on another $200 billion worth of Chinese goods. The move is seen as a major escalation of the US-China trade war. China is expected to respond with more tariffs. Aaron, I’ve certainly talked with manufacturers in our industry who are being impacted by these tariffs. Marcia Derryberry with Impressions magazine and the ISS Show is joining us for a few minutes to talk about education. Welcome to the show Marcia. Terry: Marcia we didn’t get a chance to continue our education discussion at the Ft Worth show last week. Tell us what we should be expecting next year at the ISS events? Aaron: For our listeners to plan, where are the shows next year? Terry: Anything exciting happening with Impressions? Aaron: Thanks for joining us today. Where can folks find you, Impressions and the ISS Show? Terry: Jesse, start us off by telling us about the Matsui water base ink products. Aaron: Talk to us about the importance of color matching in screen printing and how Matsui deals with it. Terry: How does water base color matching compare with plastisol color matching? Aaron: Jesse, talk to our listeners about Color Management Software. Terry: What are the variables we’ll need to consider? Aaron: We know that water base can’t be set on the shelf in an open container like plastisol. Share with us about dispensing units for water base. Terry: How does lighting impact the end product? Aaron: You mentioned to us pre-show Recipe Prediction Software. What exactly is this? Terry: What are the Digital Quality Control tools available? Aaron: Jesse, thanks for joining us again today. Where can our listeners find you? 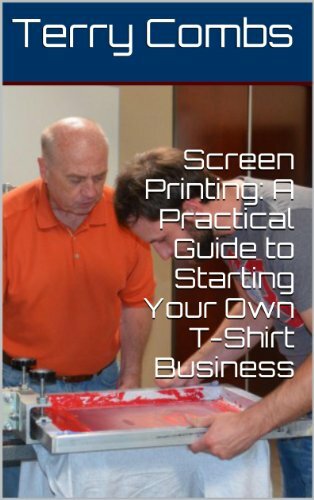 October 13-14 Complete Screen Printing Business Course with Atlas Screen Supply Nashville location. October 27-28 Complete Screen Printing Business Course with WorkHorse Products in Phoenix. SubliSource – Sublimation just got easier with the launch of sublisource.com, the new US distributor for Best Sublimation. Our mission is to help our partners grow with a different way of doing business compared to all the “Me too” distributors in the United States. 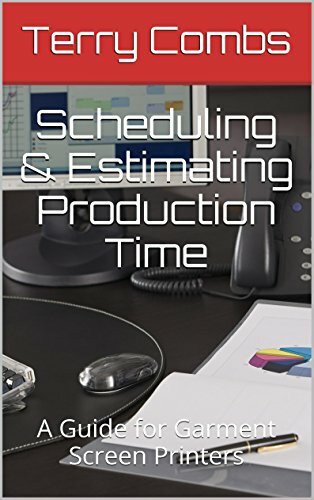 Just $4.95 as an e-book. This show is for the listeners so please make sure to ask us some questions or give us some topics you would like us to discuss. Also, if you have any event or upcoming items related to our industry that you would like us to bring up on the show, please contact us via our Facebook Page. Also, make sure to interact/follow us on Twitter and Instagram. You can also find information on our YouTube Page.